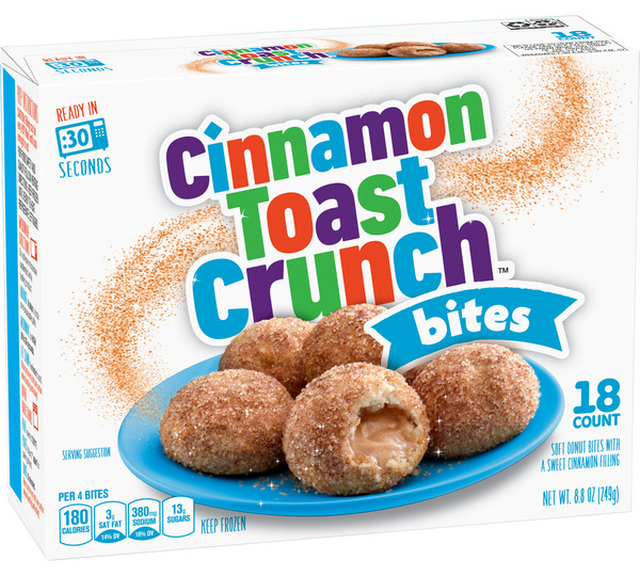 New Cinnamon Toast Crunch Bites donut holes are set to arrive in the freezer section this summer. The new warm dessert is described as "soft donut bites with a sweet cinnamon filling." Like the namesake cereal, they're also sprinkled with cinnamon-sugar. They come in 8.8-oz boxes with 18 donut bites per box. A four-bite serving heats up fairly quickly (30 seconds in the microwave).